The moment you say Captivate, many think of screen capture simulations. Yes, it’s popular for that. However, that’s not the only feature it has. Captivate has turned into full-fledged eLearning authoring tool over the years. Rapid eLearning, responsive courses, legacy courses conversion, or whatever you mention in the realm of eLearning, Captivate has made its mark. Still want to know, why you need to develop online courses using Captivate? Let’s get started. Responsive design helps to view the same online course across various devices seamlessly. HTML5 output gives mobile compatibility to your course. Adobe has added number of features to develop responsive eLearning and to convert legacy courses to responsive so that they work across multiple devices. You get fully responsive themes with eye-catchy backgrounds, fonts and layouts. Incorporate Fluid Boxes that automatically create responsive content from any objects placed in them. You have responsive sliders, responsive motion effects, responsive interactions, and responsive text support in the latest version. Make your eLearning courses mobile compatible with HTML5 publishing, without losing shapes, audio, and animations. This option also helps you to convert your legacy desktop-only courses into mobile compatible responsive eLearning. Screen capture simulations are very useful for training employees in risk-free conditions. They show ‘how to do’ complex tasks, and procedures and allow you to replicate the same procedures and tasks. Though a number of screen casting tools are in the market, high quality screen capturing for software simulations is Adobe Captivate’s forte. The tool automatically captures your on-screen actions, cursor movements, system audio and keyboard activity with pan (zooming to the area of activity) effects. It can capture actions done with any piece of software or system and create ‘Watch-Try-Do’ simulations. ‘Watch’ simulations are to demonstrate how perform certain actions, series of steps in operating a machinery or software that can be in a video form. ‘Try and Do’ simulations are more interactive in nature, Captivate creates correct, incorrect, and hint captions as the learners try to perform the shown tasks. Online course developers can easily edit whatever they capture and created simulations including cursor movements and narration. 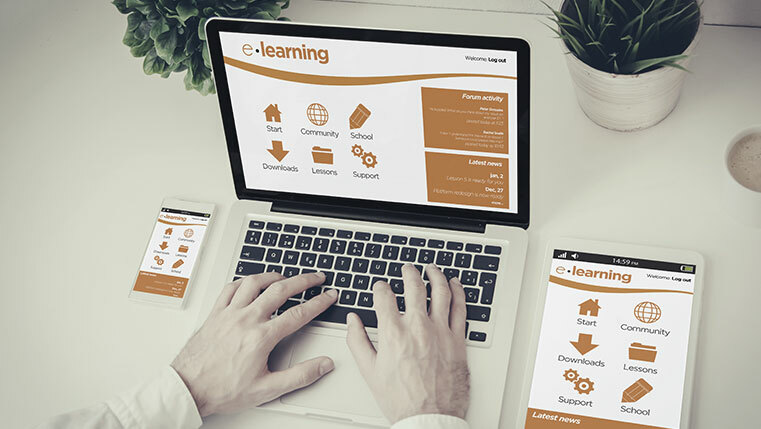 Assessments in eLearning helps you to understand how far your learners learned the concepts, to determine the next steps in the learning process, fine-tune the training, and to provide important feedback for both, the learners and trainers. Your courseware designers can build interactive assessments with a wide range of question formats such as Multiple Choice Questions (MCQs), True or False, Fill-in-the-blank, short answers, matching, hotspot, sequence, rating scales, and more. The Results slide in Captivate automatically captures learner’s results and provides instant feedback as they progress. You can also randomize quizzes and assign different scores for each question in Adobe Captivate. You can flexibly publish the developed eLearning courses to Captivate Prime LMS or any other Learning Management Systems (LMSs) with a few clicks. This helps you to deliver courses to your learners in a smart learning environment. The created learning modules can be saved a Flash (SWF) file, write it to a CD, send through an email, or saved as a HTML page. Captivate is the complete integrated toolbox to speed up course development with timesaving workflows. You can save a lot of time on graphics, animations, and audio integration by importing them to Captivate from Adobe Flash, Auditon, and Photoshop. They can be quickly edited and enhanced in Captivate as per our requirements. Photoshop CS5 helps to create, edit, and composite eye-catchy visuals such as buttons, text caption backgrounds, User Interface elements, picture collages to be used in Adobe Captivate. You can add videos to your course slides or import them to Adobe Captivate and modify the video properties as per your requirements. Animations produced in Flash can be exported to Captivate for better learner engagement. You can also create interactive buttons, widgets, and illustrated characters in Captivate. Adobe Audition helps you to record, mix, and edit high-quality audio and to add sound effects to be used in Captivate. To make the audio more effective, you can also apply different effects such as noise cancellation and vocal enhancing to the narration recorded. Captivate allows you to use thousands of standard templates and character cutouts to develop eLearning courses faster. Using them is easy and simple. 75,000+ free eLearning assets are at your disposal to seamlessly develop the storyboards into attractive courses. Various scenarios and interactivities can be included to customize them according to your need. In Captivate – Stock Assets, PPT Graphics, Common Craft are also available apart from templates and people cutouts. 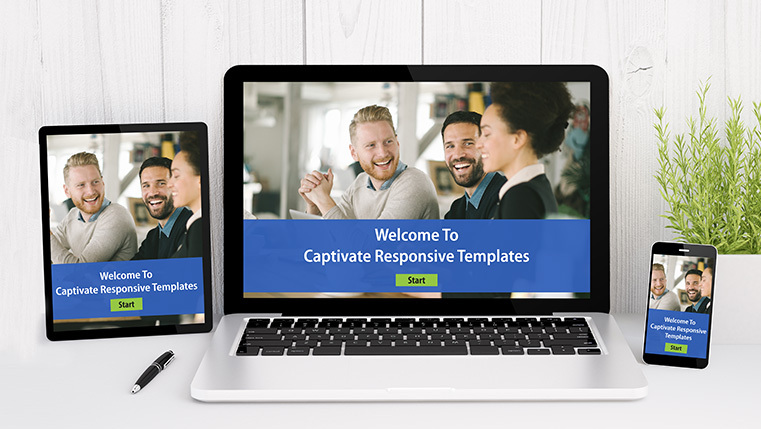 Captivate Templates include games, interactive elements, scenarios and more. You have full access to the templates library with their source files. They save a lot of eLearning design and development time, and help you to create visually attractive courses. eLearning translations are made easy with Adobe Captivate using options such as localized user interface and translated text captions. By exporting the English course content to XML document, you can send it for translation into multiple languages at a time. 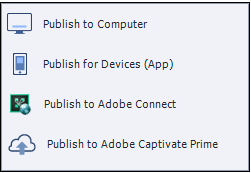 Translated XML documents can be imported and the content will be automatically rearranged in Captivate. More features are in stored in Adobe Captivate those are boon for eLearning development. Hope these benefits will motivate you to try Captivate for your future eLearning projects.